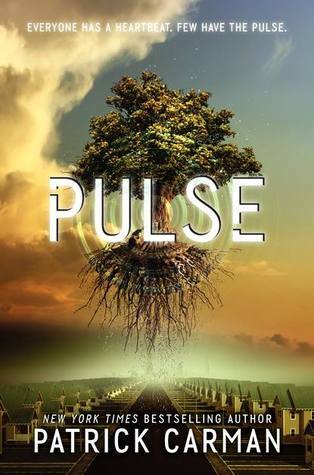 I was really looking forward to Pulse, but this book left me more confused than satisfied. I think the plot is very unique and applicable to today's society. The author carried out his "Tablet" idea with innovative ease; however, it felt like there was a lot of missing background information with regards to the Tablets and the "Pulse." Who doesn't want to have the power of telekinesis? Faith discovers that she has the power of the Pulse and becomes a literal superhuman while discovering how to utilize the Pulse and what it means to have such power. The book continues with Faith making difficult decisions and having to think on her feet; after all, it isn't easy when you have to save the world. Characters like Liz, who the reader will grow to love, suddenly disappear-taken to one of the "States." I got the feeling that Faith was meant to be the main character in this book, but the book had many varying view points-which both helped the reader get to know the characters much better, but also left me feeling less invested in Faith. Faith's character was nice enough. She felt like the typical teen; she blew off Liz, at times, but would randomly act nicer towards her later on. Her bravery and determination are commendable traits, but she is also whiny and sort of dumb, at times. I suppose this means that she's only human, a realistic character, but I didn't connect to her as well as I'd hoped I would. Dylan's character was a bit of an enigma until the middle of the book. He came off as charismatic and kind, a character that grows on the reader. Wade and Clara will strike the reader as "suspicious" from the very beginning, but I loved that the author held off on their true intentions towards Faith until later in the book. Overall, this novel contained many, many characters with different backgrounds, ideas, and beliefs that will both hold the reader's interest and make it more difficult to truly connect to any of them. This book is recommended to young adult/teen readers who won't mind rereading a few paragraphs to truly grasp the story every once and a while. I agree with you that this book has a relevant and unique story! I like that there were a wide variety of characters but it's too bad that it made it difficult to connect with any of them. I still want to read this book and thanks for your comments! Great review! I love books where the characters have super powers; I'll be putting this on my TBR list. I enjoyed this book, but I got into the quirkiness instead of letting it overwhelm me. It had issues, but for some reason it didn't bother me. I was still trying to figure out why I looked past them in this book and not in others lol. I guess it was the writing or maybe I was having a good day. :D Great review and you pointed out some things that were on par and I think a lot of readers will not like.